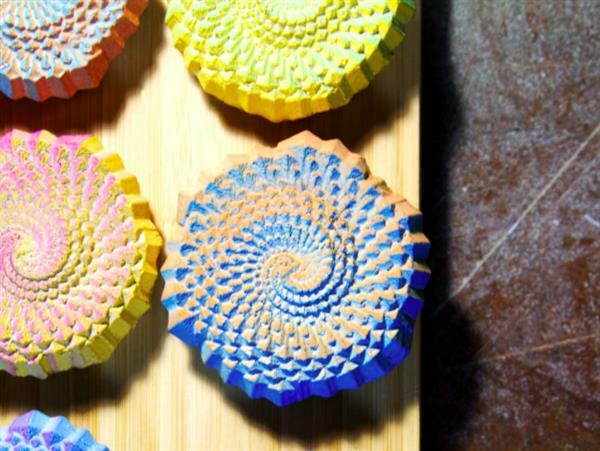 Would you eat 3D printed cake? Wonder what happened to embedded lens in smartglasses? Are you an Android user jealous of the face scanning tech in the iPhone X? Giant 3D printed skeletons? All this and more of the latest 3D printing news from Roboze, Innofil3D, Additive Industries and EOS. We may soon be eating 3D printed cake if the new creations from Budmen Industries’ Techno Test Kitchen catch on. Head Chef Steph Keefe used 3D printing to create the molds for the cakes you see below. Cakes made using 3D printed molds. Photo via Budmen Industries. Mexico-based Moti Digital 3D has printed a giant skeleton for the Mexican Festival of Light celebrations in Guadalajara. It stands 12ft tall and 27.5ft long. Snorri Grisomson, a “Viking reenactor, airsofter and drone pilot with a 3D printer” has designed a 3D printable Ghostbusters sign. Get the model here. Artist Martin Binder has created a life-like 13ft long birch tree sculpture using a 3D printing pen with a wood-plastic composite filament. If you’re in Berlin this week the piece is on display at the Super Bien! until March 15. A student from Texas A&M has demonstrated how 3D printing might be used to manufacture tools and parts for future Mars settlers. Mauricio Coen spent four weeks in Oman’s Dhofar desert equipped with a 3D printer for the repair and creation of tools. Coen has not yet published results. 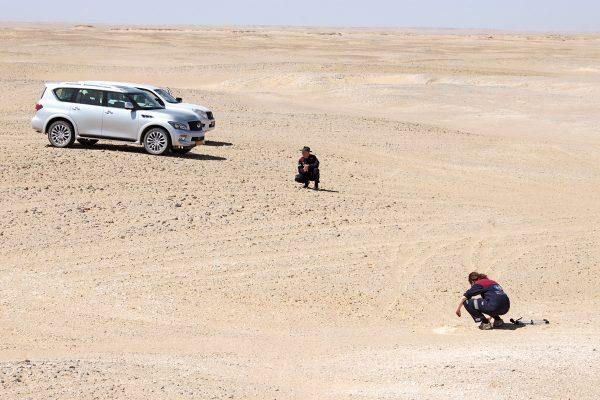 Mauricio Coen in the Dhofar desert. Photo via Mauricio Coen. The Karlsruhe Institute of Technology’s Institute of Nanotechnology and Nanoscribe have been distinguished by the German Physical Society (DPG) because of their success in applying research to useful, marketable products. The awards ceremony will be in Erlangen, Germany on March 7. Himax Technologies, a supplier and fabless manufacturer of display drivers, semiconductor and optical products, have equipped Android smartphones with their SliM 3D sensing solution. The 3D sensing solution announced last August, is the best performing 3D sensing and face recognition solution available for Android smartphones. Tech Soft 3D announced HOOPS Publish 2018, the latest version of the toolkit enabling applications to publish 3D data in multiple formats, including 3D PDF, HTML and the most commonly used CAD formats. Children in Singapore are set to receive hands-on experience using 3D printing to create parts for programmable robots, such as a grabbing claw to reach for objects. Luxexcel has formally launched their 3D printed optical lenses in Europe. They are in talks with a lab to implement the technology. At an exhibition in Milan the company showed off potential uses for their lenses, including embedded microchips and LEDs. Roboze, specialising in 3D printing for aeronautics, has announced a partnership with SCEI 3D, a company with over 80 years of experience in the space, aeronautics and defence sectors. “Having a partner in SCEI 3D, with their skills, reputation and know-how can only accelerate the dissemination of features and innovative products to meet the current and future production needs of our customers,” said Alessio Lorusso, CEO & Founder of Roboze. Fathom, a 3D printing service provider headquartered in Oakland CA, has secured ISO 9001:2015 certification. The certification attests to Fathom’s ability to “consistently provide products and services that meet customer and applicable statutory and regulatory requirements”. 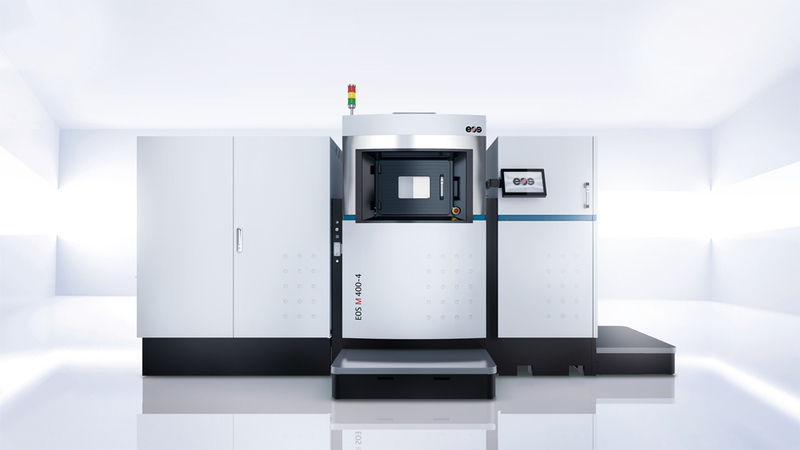 EOS, a leading supplier in the industrial 3D printing of metals and polymers, has announced the sale of two of its flagship EOS M 400-4 metal 3D printers to Morf3D. Morf3D intends to acquire an additional eight EOS M 400-4 printers in 2018. The EOS 400-4. Image via EOS. Innofil3D, manufacturer of high-end customized filaments, has partnered with Beijing Tiertime, manufacturer of FFF 3D printers. The Chinese company will distribute Innofil3D’s filaments in China and the US, and both companies will collaborate on the development of engineering materials for industrial applications with FFF printing. Additive Industries is moving to new headquarters in Eindhoven. Currently, the company’s headquarters, development and system assembly, and test operations division are spread over two locations in Eindhoven. The new site will consolidate these divisions into one facility. Stay up to date with all the latest 3D printing breakthrough by subscribing to the 3D Printing Industry newsletter, following us on Twitter, and liking us on Facebook. Find and post 3D printing jobs here. Vote for research team of the year and more in the 2018 3D Printing Industry Awards. To be in with a chance of attending this year’s event, winning a 3D printer, and having your design 3D printed by Protolabs, enter the 3D Printing Industry Awards trophy design competition.